How many times have you spotted the perfect dress on Instagram, on a celebrity or the person sitting next to you on the train? You love the look the only problem is you have absolutely no idea where it's from. ASAP54 is a new way to discover and shop for fashion online, simply snap and upload an image, and then shop for it or find similar inspired pieces with the simple click of a button. Have a favourite dress already but just cannot find the perfect accessories or shoes to match? ASAP54 can help here too, simply take a picture of the colour and it will share accessories and shoes that will match. The app has a huge network of fashion affiliates, ranging from Net-A-Porter, Topshop, ASOS, to The Outnet, and beyond so there are lots of fashion ideas to pick from. 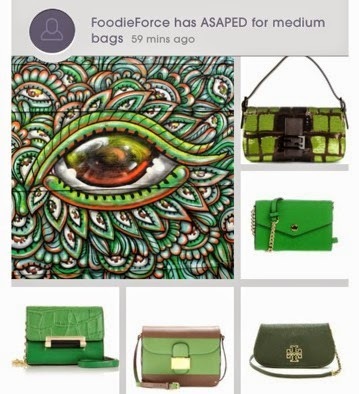 You can also share your fashion discoveries with friends and see what style icons are looking to buy. Love food and art but not fashion, well take pictures of your favourite things and see how they translate to fashion. 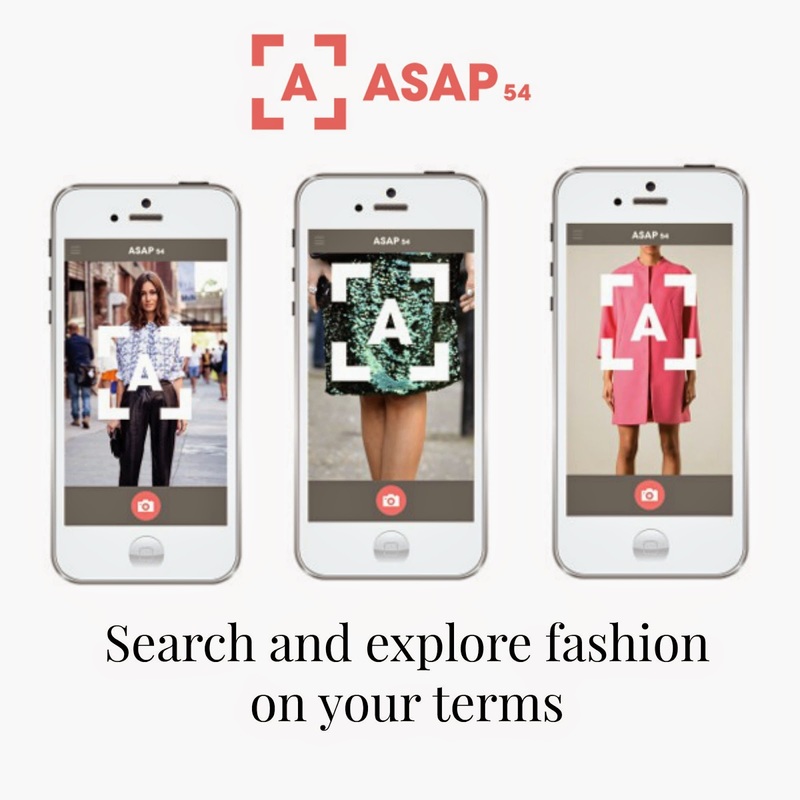 ASAP54 is the new way to discover and shop for fashion online. You can search for fashion with keywords and images, you can also filter your search by adding keywords, price and colour. If you haven't downloaded the app already what are you waiting for? There are so many "fashion discovery" apps out there, but I really like how this one can make accessory recommendations just based on a photo! I will have to download this and give it a try - thank you for sharing! I have never tried a fashion app and this sounds like it would get very addicting. I love that it acts kind of like your personal stylist, recommending accessories to wear with an outfit. I might look a little crazy taking pictures of random strangers to see where their clothing comes from. Thank you for following me on Twitter. I like discovering new fellow bloggers. This looks like a great app. Great find and thanks for sharing it! Would you like to follow each other on Bloglovin? Please, let me know. I love the idea of searching for an accessory based on a colour or to go with items I already own so will definitely give this a go! Hope to meet up with you soon in 2015!